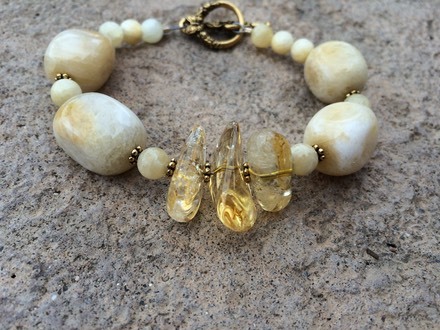 Soft Yellow Camel Jade, surrounding three, carefully chosen Citrine Gemstone nuggets. 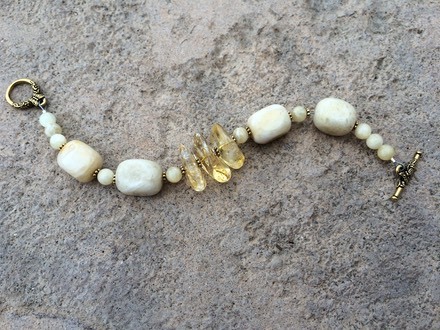 I like to think of these stones as "gold" jewelry, so that it goes with anything! Gold plated fine Pewter components. Toggle clasp with Butterfly design. 7" long.